Being involved in a collision can be a terrifying experience that puts your life at risk. Depending on the level of damage to your car, it can also be an expensive experience. For many Americans, getting their car repaired quickly after a crash is essential as they look to carry on their daily lives. But some car repairs can easily run into the thousands of dollars. Everyone wants to get the best service for the best possible price, which is why many auto body repair shops, ours included, will offer a range of different parts which they will use to repair your car. At first, the names of these parts and what they mean for your car can be confusing. But repair experts aren’t trying to trick you, as we will explain below, they are just trying to give you as many options as possible and give you the best deal. OEM stands for Original Equipment Manufacturer. That means that the part is made by the same company that made your car (or that part of your car at least). When you use OEM parts, you choose to have the best and most reliable piece of equipment in your car. The good news is that unless you have a very obscure car brand, your collision repair center of choice won’t have an issue getting hold of genuine OEM parts. The only downside is that these can be expensive. But you get what you pay for, and if you want the real deal, then OEM parts are the way to go. When you lose or break your iPhone charger what do you do? Do you buy a new one from Apple or do you buy one for $5 from Amazon? If you’re like most people, you buy the cheaper, but still-effective alternative. This is exactly like buying an aftermarket part for your car. There are a number of third-party specialists that create parts for every make and model of car available. Trust us, if you need an aftermarket part for any kind of car, we’ll be able to find it. These parts are largely comparable to OEM parts, but because they are not made specifically for your car by your car’s brand, they do tend to be slightly less reliable. The upside is that they will be much cheaper to purchase. There is a way you can get original car parts made by your car’s manufacturer on the cheap. And that is by using used, second-hand or recycled car parts. These parts may have come from a totaled car or they may have been taken off a car bought specifically to provide used parts. They can be just as reliable as OEM parts and just as cheap as aftermarket parts. As long as you use a trustworthy collision repair center that fits the parts properly, there shouldn’t be a problem. Oh, and you’ll be doing your bit for the environment, too. 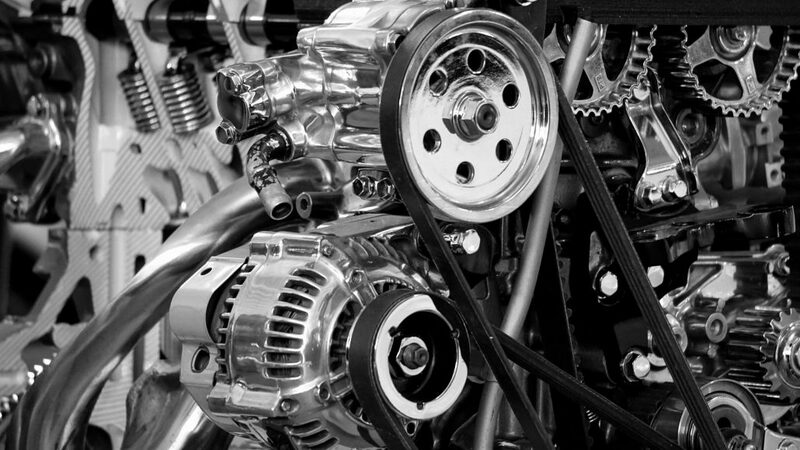 OEM, aftermarket and used car parts are all available here at Chaney’s Collision Centers. We’ll tailor our quote and service to your budget so that you get the most bang for your buck. Give us a call today on (623) 915-2886 to arrange an estimate or use our online estimation form.